How to Deactivate Frontend Assistant? What is front end assistant? Easy Social Share Buttons for WordPress has new front end assistant. 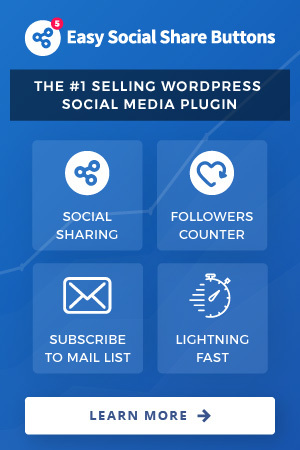 This assistant allow quick change of most common used functions of plugin directly when you browse site and also to customize design of buttons with real-time preview. It is visible only when you are logged inside site with Administrative capabilities. If you wish to deactivate it go to plugin settings menu and open Advanced Settings -> Administrative Options and set to Yes option that you wish to Turn off front end quick setup (you can activate it at any time with setting the same option to No).